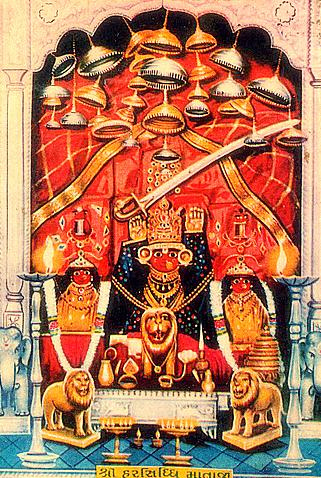 Shri Harsiddhi Mataji is the 'Kul Devi' or the deity of the erstwhile royal family of Rajpipla State. 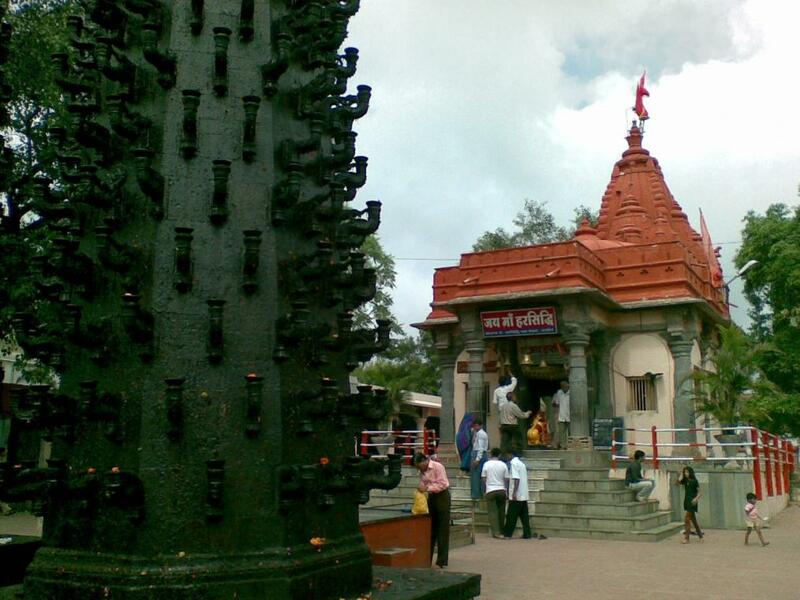 The idol was brought from Ujjain, where stands the original temple of Shri Harsiddhi Mataji. In this context it is important to understand the history of Rajpipla. Before the arrival of the Gohils, Rajpipla was ruled by the Parmar dynasty, a branch of the royal family of Ujjain, descendants of the famous King Vikramaditya. Around the middle of the fourteenth century, the Parmar ruler of Rajpipla, Chokrana, who did not have a male issue, adopted Samarsinhji, the son of his daughter and Mokhdaji Gohil, chief of Ghogha in Saurashtra. 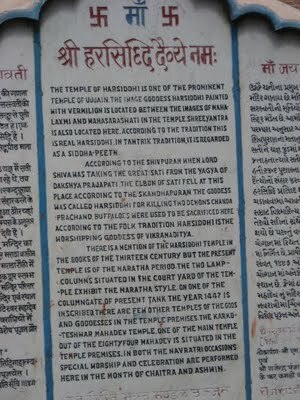 Samarsinhji assumed the name Arjunsinhji, and thus began the rule of the Gohils over Rajpipla. The Gohils continued to worship Shri Harsiddhi Mataji. The erstwhile royal family offers prayers at the temple during the auspicious religious festival of Navratri, which culminates with the paying of obeisance to Shri Harsiddhi Mataji on Dusehra. Even today the members of the royal family and the public alike seek the blessings of the goddess before beginning any auspicious task. 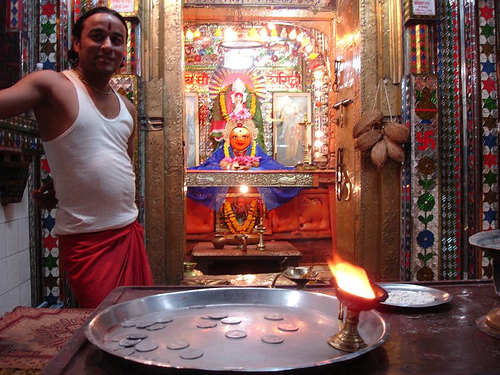 A large number of citizens of Rajpipla, and from far and wide, visit the temple every day to make offerings. 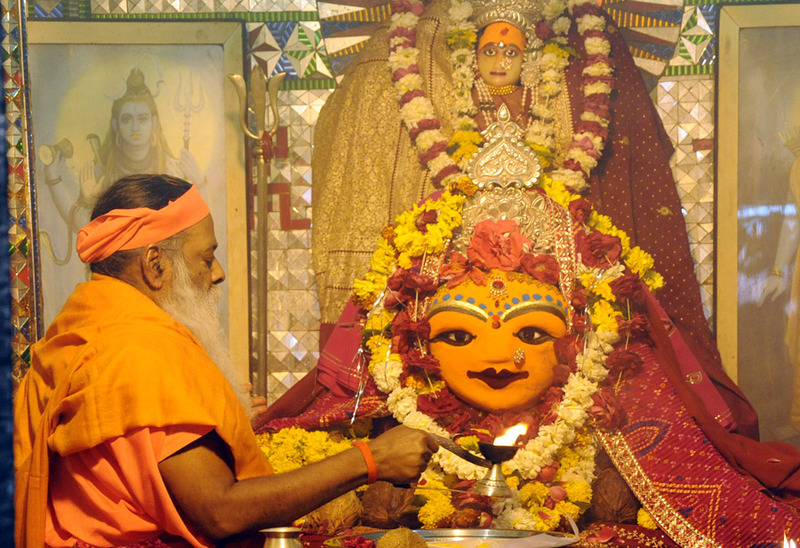 People have immense faith in the powers of Shri Harsiddhi Mataji and seek Her protection. 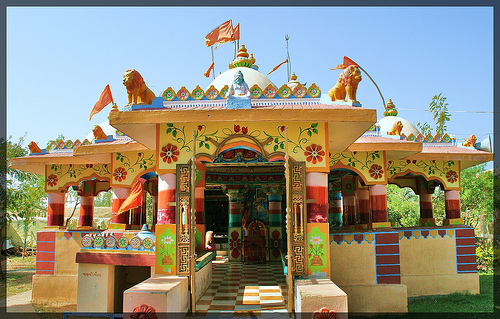 One among the shaktipeeths of Hindu Mythology, Harsiddhi Temple, in Ujjain is the abode of numerous Goddesses of Hindu Pantheon. One among the fascinating aspect of this shrine is the structure which is made up of a rock smeared with turmeric paste and vermilion .The temple turns magnificient on the eve of the Navaratri festival, when hundreds of lamps on the 15 feet lamp stand being lit together. 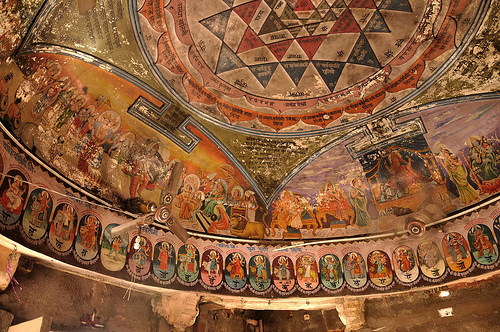 Yet another characteristic feature of the marvelous shrine is the presence of Sri Yantra, or nine triangles that represent nine names of Goddess Durga. This lovely shrine also houses images of other goddess also. The famous dark vermilion image of Annapurna, the Goddess of Nourishment, and the idol of Mahasaraswati, the Goddess of Wisdom and Knowledge are significant for their typical Maratha architecture.